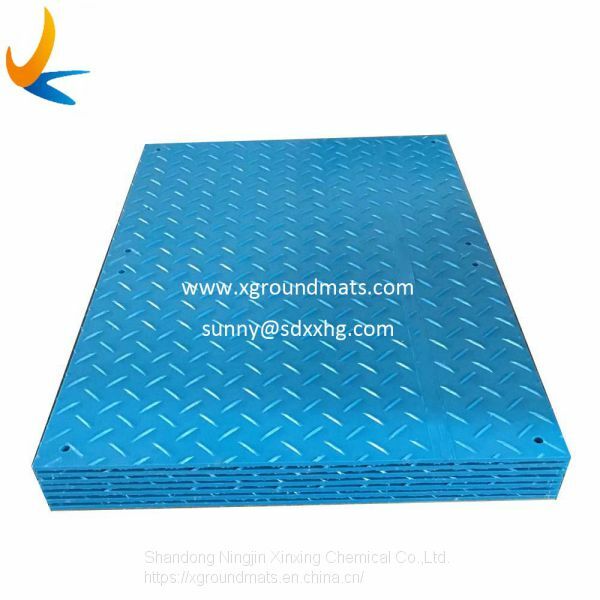 XINXING HDPE plastic ground mat is designed to preserve soft and sensitive ground conditions for machinery and vehicles, which are reusable for many times and 100% recyclable after use. 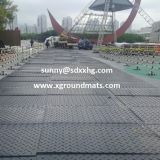 Our HDPE plastic road mats is an ideal alternative of the highly expensive aluminum protection systems or the "rot and replace" culture of timber for ground protection. 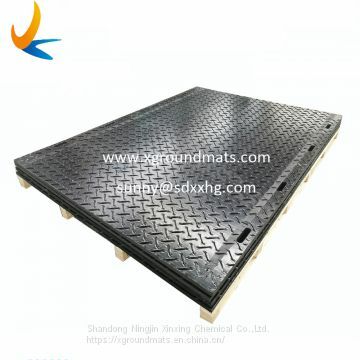 Our mats is equal to Trufftrak mats however is more competitive on cost. 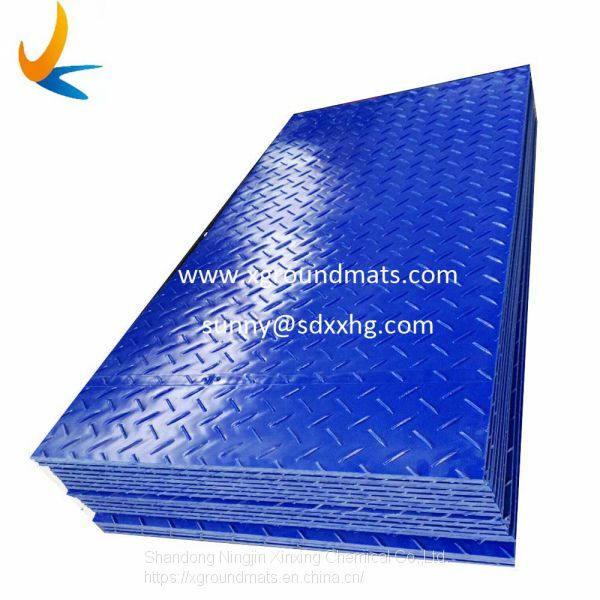 4x8 plastic hdpe ground mat is hot sale and popular size in global market, other size is also can be customized - our best strenght as a professional producer. 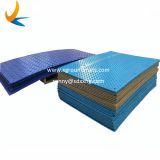 These lightweight and versatile temporary ground mats/HDPE ground mats are ideal when moving vehicles or machinery across soft ground. They can be linked together to form a track way or large surface area using our Easy Join connectors. 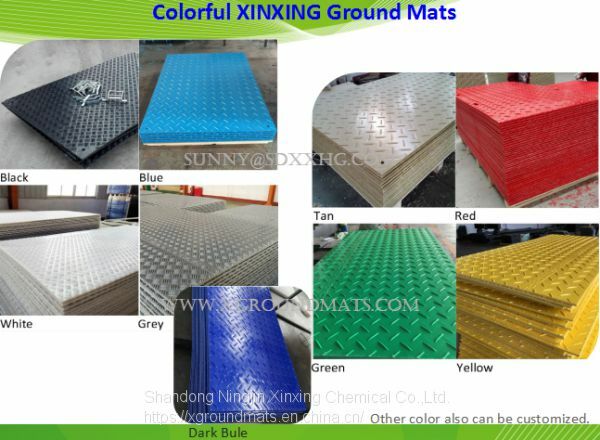 XINXING Mats are an ideal and fast solution for many applications. Temporary roads are useful for situations such as construction site access, sports field maintenance and pedestrian walkways. Our temporary roadway offers ground protection to grassed areas as well as soft ground. 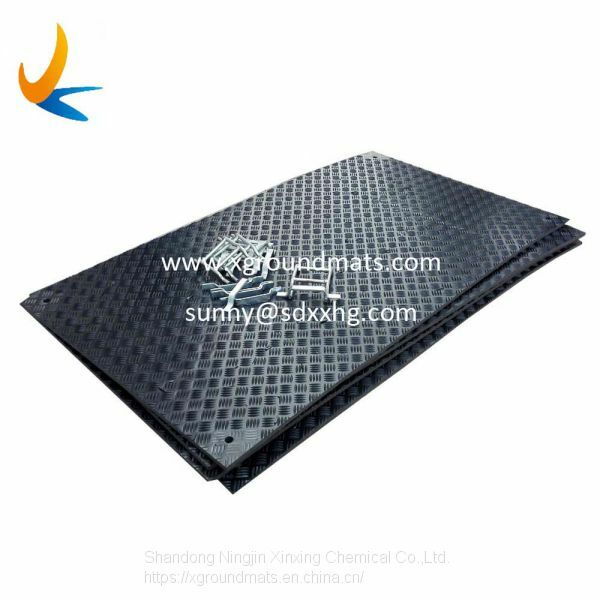 Xinxing Mats are used to spread heavy imposed loading, minimising hard surface damage, increasing stability and protecting sub-surface utility services. XINXING Mats are ideally suited for creating main road access into and through construction sites whilst limiting impact on the environment. They are extremely strong; available in larger sizes to handle heavy loads.For those looking for a more permanent ‘no-dig’ solution, our Ground Protection ground reinforcement tiles are ideal and are easily installed with a vibratory roller or rammer. 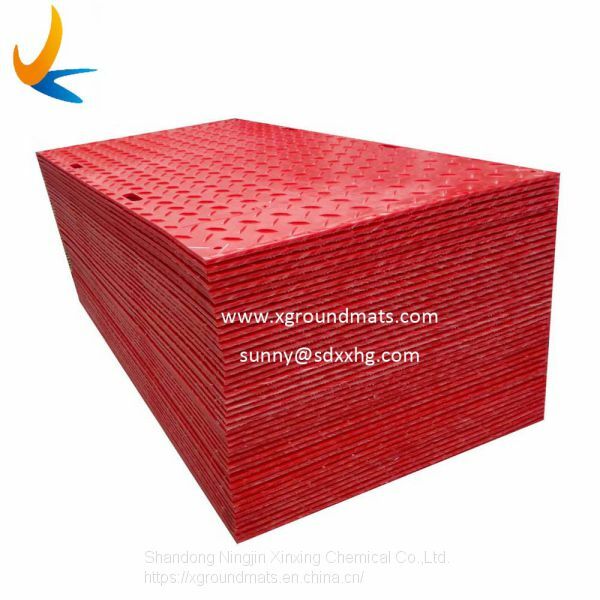 Alternatively, grass protection is a heavy-duty polyethylene mesh which reinforces grassed areas prone to wear and smearing. 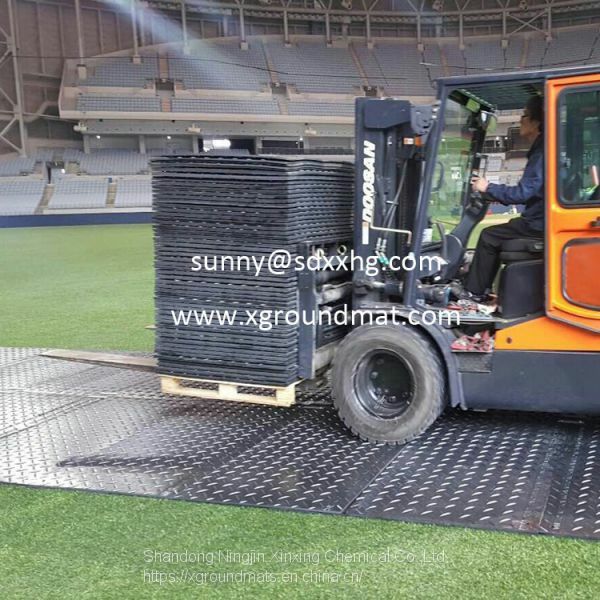 XINXING offering you the most effective ground protection system that does the job every time at the most competitive prices . 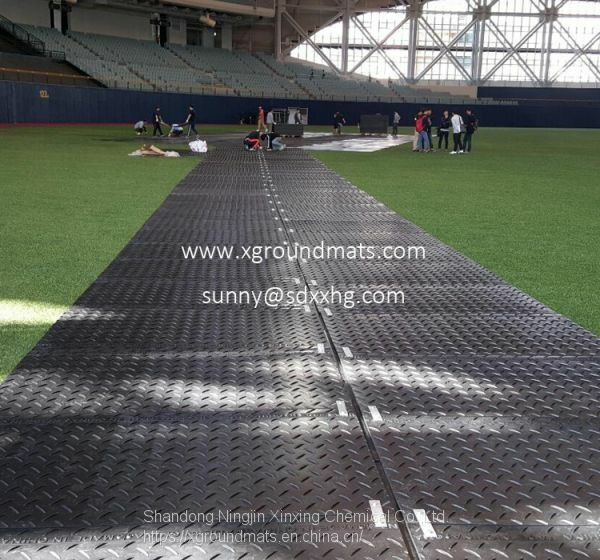 XINXING mats both protect your expensive turf and provide access and traction over mud, sand, snow and other difficult surfaces. 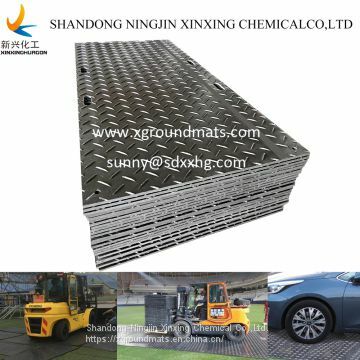 XINXING ground mats can be sued to create temporary roadways for all types of vehicles and equipment or large work pads for drilling, administrative compounds, bone yards, temporary flooring, oil drilling rig mats and other industrial application. 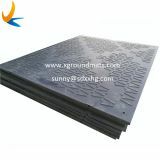 Our PLASTIC ROAD MAT was made of HDPE (High density Polyethylene), which can be bend to suitable for the different ground surface conditon, but not break. 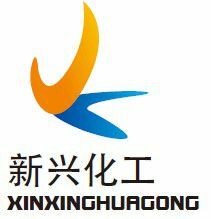 To Shandong Ningjin Xinxing Chemical Co.,Ltd. 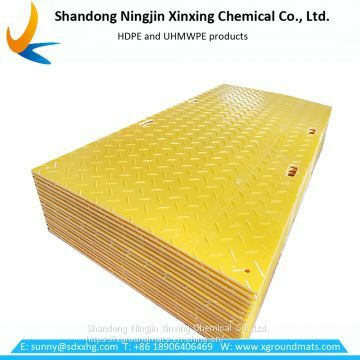 INQUIRY ABOUT 4x8 plastic HDPE ground matShandong Ningjin Xinxing Chemical Co.,Ltd.